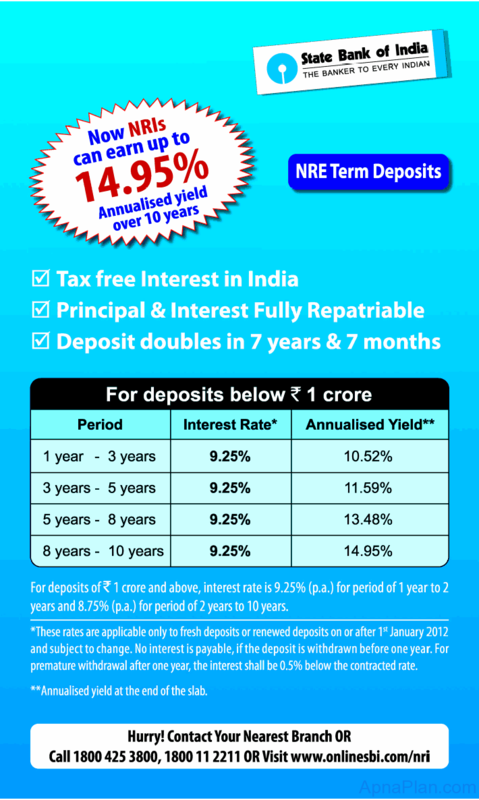 SBI (State Bank of India) recently advertised its rates for NRE Term Deposit Rates in leading newspapers. The advantage of NRE Term deposit is that the interest paid is tax free in India and both principal and interest is fully Repatriable. The interest rate is 9.25% across tenures. The other thing to note is No interest is payable if the amount is withdrawn before completion of one year.